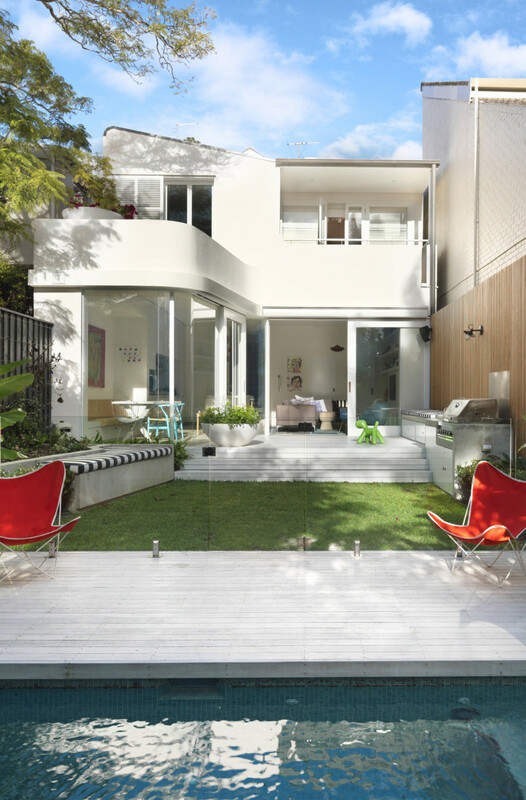 A modern renovation of a Paddington terrace can be daunting, but the result can also be fabulous. Personally we love entering slightly darker Victorian ornate front rooms and then working our way towards the rear where fabulous open areas can evolve. These houses are very old by Australian standards and important to our cultural heritage. The correct balance between the old and the new has to be achieved. 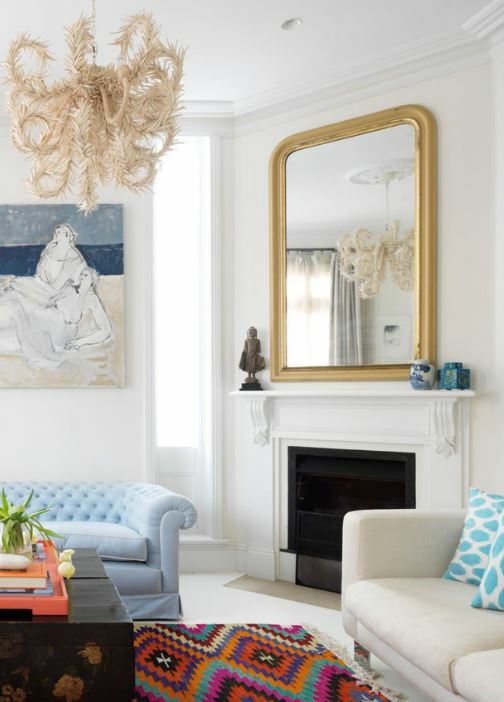 Historical elements, such as compact staircases, fireplaces, ornate ceiling roses and plasterwork are important and once they are removed they are lost forever. Equally we are living in the 21st century and families to need to entertain in a way that meets current lifestyle demands. As with most things, compromises must be made. 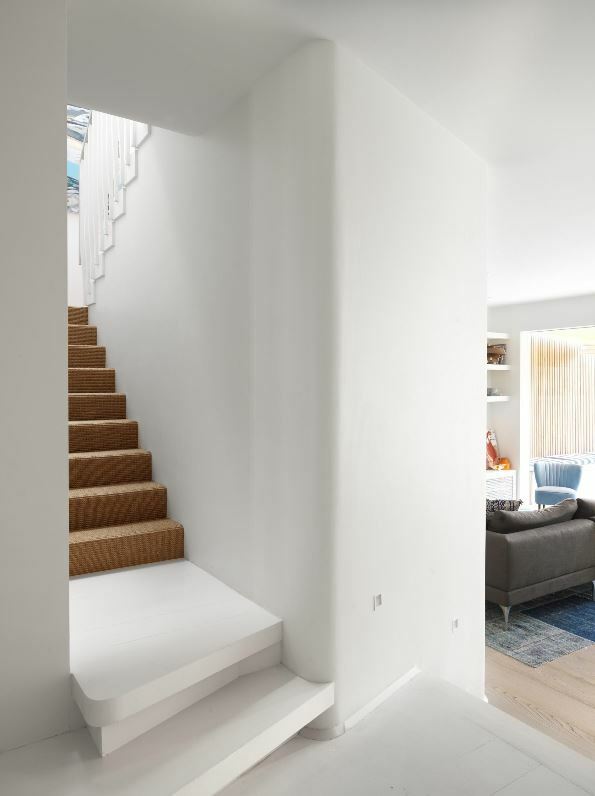 This example of a Luigi Rosselli designed renovation has some particularity charming elements. A highlight for us is the new balcony on the horizontal extension with a modern interpretation of the original front lattice work. We also like the pristine white paintjob that complements the front terrace façade as much as Luigi’s signature curves out the back. The existing building was a single terrace over two blocks. 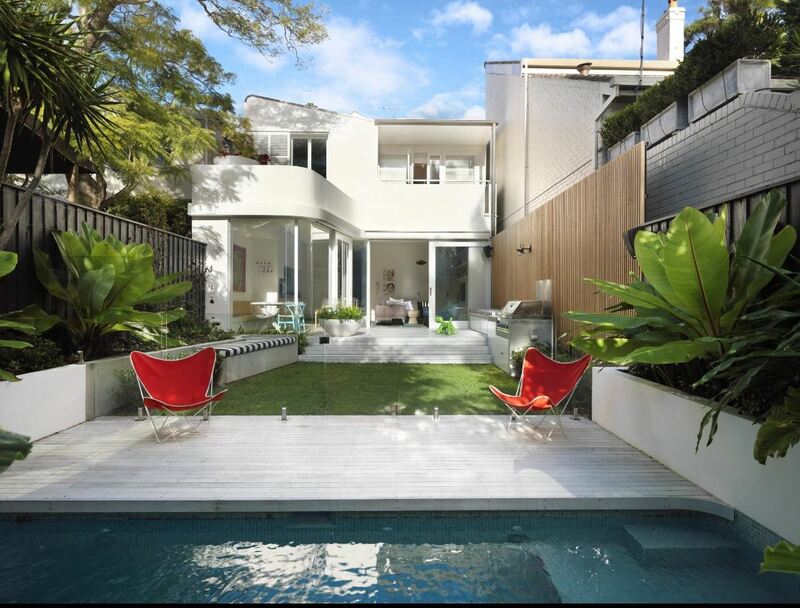 The client’s brief was to open up the terrace and make the most of the small (256 sqm) north facing block size. Everything a part from the two front rooms was rebuilt. The result is a four bedroom terrace with a formal living area at the front and a relatively large casual family zone at the rear which flows onto a wide entertainment deck. The outdoor area also boasts a kitchen & built-in BBQ, level lawn and gas-heated pool. Off-street parking for two cars has also been achieved. In this case designer and owner Heidi Correa chose to really brighten up the whole house. Instead of sticking to safe neutral tones she used bold colours, rich textures and exotic patterns. The designer describes the look as Moroccan minimalism with a tropical vibe! Whoever said that building in a conservation area was restrictive!